PC shipments have fallen significantly in Western Europe, with an 11.4 per cent drop year on year. Although Steve Jobs' assertion that we are in a post PC era may have been premature, the figures from Gartner certainly do not make comfortable reading for computer manufacturers. "The inventory build-up that slowed growth in the last four quarters was mostly cleared during the third quarter of 2011; however, the PC industry continued to perform below normal seasonality," said Meike Escherich, principal analyst at Gartner. "The results in the third quarter of 2011 make unpleasant reading for the PC industry, as the third quarter is traditionally a strong consumer quarter, driven by back-to-school sales," she added. 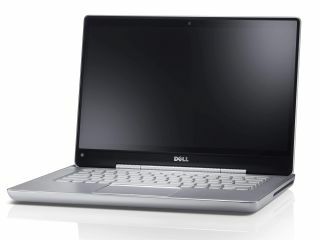 Laptop shipments were down 12.6 per cent, with netbooks dropping more than 40 per cent compared to 2010. Hewlett Packard has recently changed its mind on getting out of the PC manufacturing market, but it retains the top spot in Western European sales, although a one per cent rise on market share to 22.7 per cent does not disguise 7.5 per cent fall in shipments. Acer is in second spot with 15.2 per cent, but that represents what will be an alarming 9 per cent drop on the same quarter of 2010 for the Taiwanese giant. Apple has put on a strong growth with its Mac, and it now has a 7.6 per cent market share, compared to last year's 5.7 per cent in the same quarter.